Are Iranian Military Helicopters Still Useful? An Iranian Bell 214A. Via Wikimedia Commons. There’s little doubt mainstream Iranian media essentially function as propaganda outlets pandering to anti-Israel and anti-Western biases. But even the most blatant fake news does offer useful insights on specific topics. This applies to any reports about Iran’s so-called domestic armaments industry, whose slant is promoting a false sense of technological advancement. This is most obvious when it comes to the country’s notorious ballistic missile tests or any publicized event involving missiles. What Iranian media never acknowledge is the country’s ballistic missiles are copies of North Korean rockets tweaked for enhanced performance. On the other hand, there are many instances when news is published about “precision” weapons that, upon closer scrutiny, turn out to be recycled ordnance. 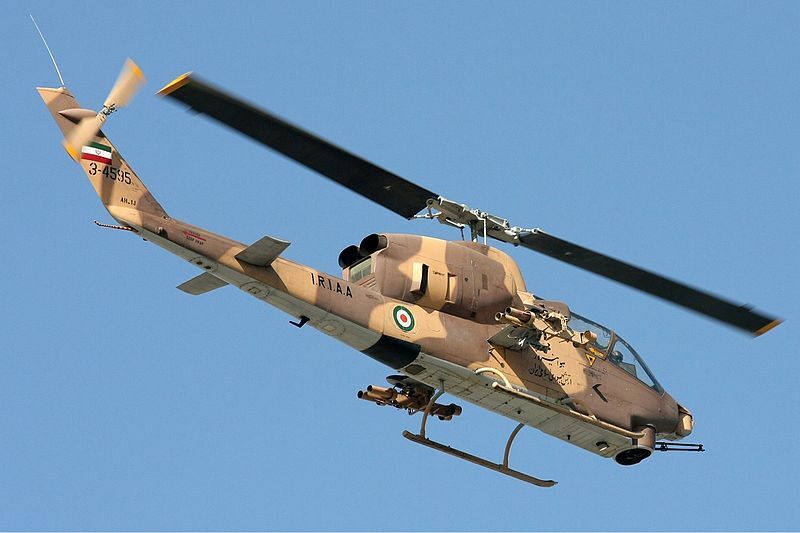 An Iranian AH-1J gunship. Via Wikimedia Commons. This pattern appears to have repeated when the Fars News Agency reported this week how the rotor fleet for the Artesh, or Iranian Armed Forces, had undergone modernization. Iranian news are known for their brevity and only one official, identified as “Airborne Commander General Yousef Qorbani,” was cited for “relevant remarks.” According to Qorbani, the Artesh rotor fleet now have “state-of-the-art equipment” although he never specified which helicopters and what equipment underwent modernization. A stock image that accompanied the short article did offer clues on the current state of Artesh helicopters. The undated photo showed a Bell 214A carrying a unique combination of armaments. These appear to be a Hydra 70 rocket pod side by side with an M158 rocket pod. Both are US-made and were widely used on Bell UH-1 and AH1 gunships during the Vietnam War. 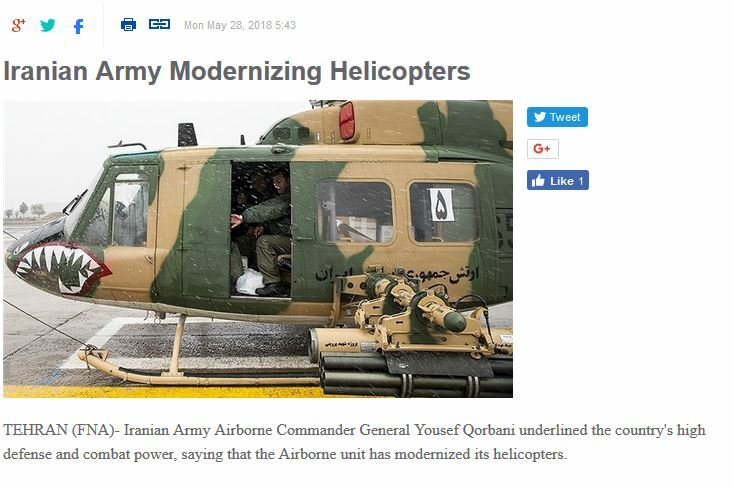 The photo doesn’t prove any of Qorbani’s claims that the Artesh’ helicopters are modernized with night vision and have new armaments like an unnamed fire-and-forget missile. It did prove the Artesh are stuck with half century old rotorcraft that carry antiquated weapons. In fact, earlier this year Iranian news outlets did reveal a locally made anti-armor missile called the “Shafaq” had entered service. Yet its appearance suggests an old air-to-air missile was either cloned or modified to be used as an air-to-surface munition. Taken from Fars News Agency. Photo credit via Hossein Velayati. Iran’s reliance on so much Western technology might be ironic given its vehement hatred of the US. But this came about because of unintended consequences. Before the revolution in 1979, the last Shah of Iran used the country’s oil wealth to build the largest military in the Middle East during the 1960s and 1970s. As a member of the doomed Central Treaty Organization (CENTO) together with Turkey and Pakistan and a steadfast US ally, Iran was allowed to acquire the most advanced conventional weapons offered by Washington, DC. As a result the Artesh’ inventory of helicopters grew to breathtaking size. This included more than 200 AH-1J SuperCobra gunships, some of which are still being flown today, and an undisclosed number of Bell utility helicopters. Iran could purchase directly from NATO members and this is how the Artesh almost received a hundred CH-47C Chinooks assembled by the Italian firm Agusta S.p.A. But events in 1979 meant the full order was never completed. Unfortunately, the Islamic Republic’s propaganda can’t hide the fact it has failed to modernize the Artesh, who are forced to maintain a nearly antiquated stockpile of Shah-era equipment. A combination of budget constraints and sanctions means Tehran still doesn’t have full access to new foreign suppliers in China or the EU. Publishing “news” of dubious innovations does little to close the yawning gap between the GCC’s firepower today and the best Iran can muster. So how effective is Iran’s military rotor fleet? Not very, to be honest. TEHRAN (FNA)- Iranian Army Airborne Commander General Yousef Qorbani underlined the country’s high defense and combat power, saying that the Airborne unit has modernized its helicopters. “Our capabilities are very high in the combat field and we have attained the goals and strategies that we had specified. We have modernized our helicopters with the state-of-the-art equipment and met our needs to the modern equipment,” General Qorbani said on Monday. He, meantime, stressed that the Iranian Armed Forces are not after initiating war against other countries but are completely prepared to defend their homeland with maximum combat power. In relevant remarks last month, General Qorbani announced that the country’s helicopters had been equipped with night-vision systems. “Our dear experts in the air industry have had a highly successful performance and have equipped our helicopters with night-vision systems,” General Qorbani said. “We have also become fully indigenized in the field of long-range missile systems. Turning ground-based missiles to air-based missiles and enjoying the best fire-and-forget missiles are among other achievements of the Army Airborne Unit,” he added. 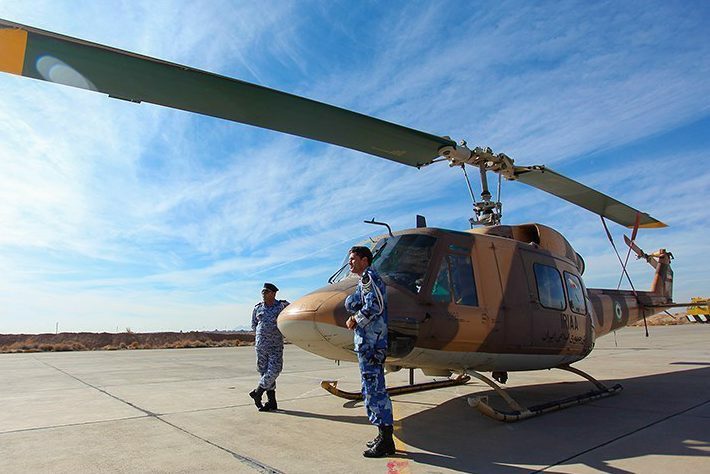 General Qorbani underlined that Iran is among the pioneering states in developing helicopters with the capability of fighting electronic warfare, targeting guided missiles, interception of targets from distance and using cruise missiles. ← How Dangerous Is The Chinese H-6K Missile Bomber?